Amid ongoing problems in the Man Utd defence, Jose Mourinho has been urged to swoop for John Terry on a free by talkSPORT host Adrian Durham. It was well documented this past summer that the Red Devils were linked with a string of defensive names to bolster their backline. Given Mourinho already has Eric Bailly, Victor Lindelof, Chris Smalling, Phil Jones and Marcos Rojo at his disposal though, it was questionable as to whether the Portuguese tactician really needed another name in that department. 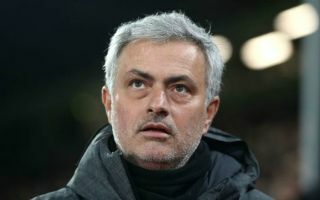 However, having conceded seven goals in their opening four Premier League games of the season, it seems pretty evident that perhaps Mourinho was right in that reinforcements were needed. With the transfer window now closed, Durham has suggested that a move for ex-Chelsea stalwart Terry would make sense on a free transfer, given that the 37-year-old is still without a club after leaving Aston Villa at the end of last season following their failure to secure promotion. “All Manchester United can go with is free agents, John Terry is exactly that so why wouldn’t Manchester United go for John Terry?” Durham asked on his talkSPORT show, as per The Sun. “John Terry would get into the Manchester United team ahead of Smalling, Jones, Rojo, Lindelof. Think of the crisis they have got at the back, think about how well Jose Mourinho knows John Terry. Unfortunately for Durham, it doesn’t look like happening as the Manchester Evening News claim that Man Utd will not explore the possibility of signing Terry as a short-term solution and have seemingly rubbished the suggestion of a switch. Terry performed at a high level in the Championship last season, but to ask him to do that across various competitions at the highest level consistently at his age could be a mistake and it’s debatable if he would really be that high in the pecking order, as suggested by Durham. Nevertheless, it would appear that Mourinho and Man Utd agree and will not follow his advice.